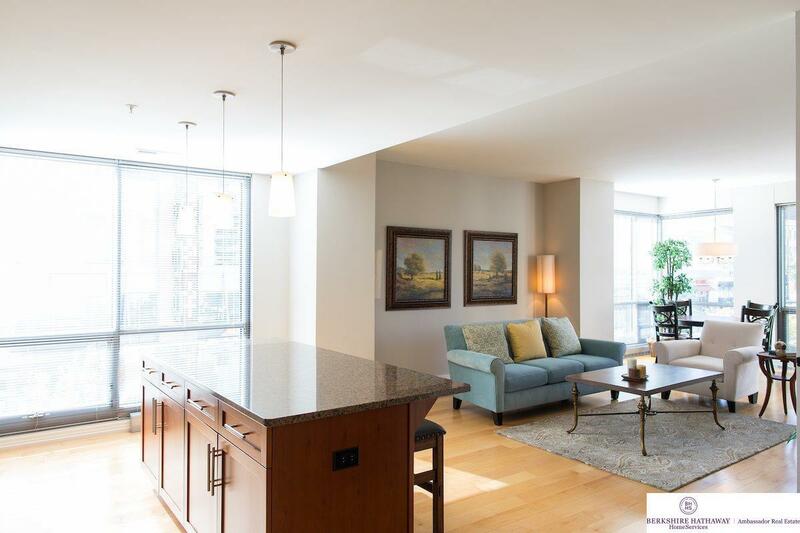 Wonderfully situated 2bd 2bth condo in the heart of Midtown with a spectacular view of Farnam. 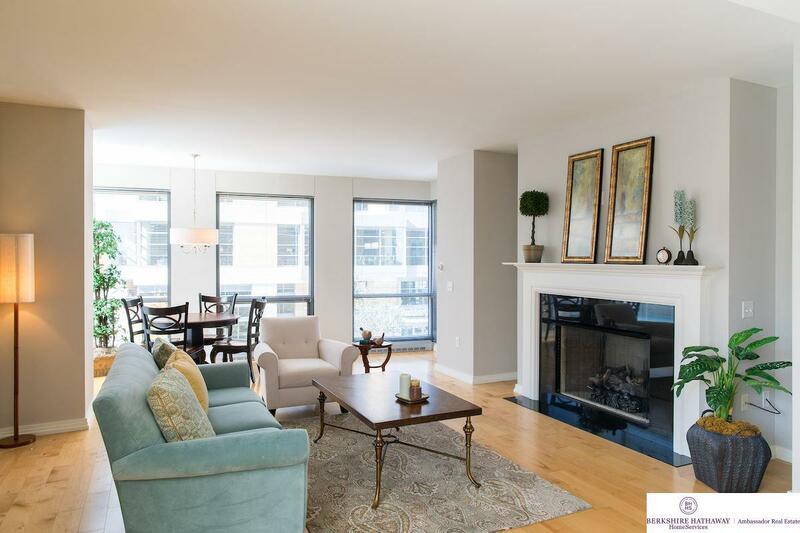 This unit features a full size balcony overlooking Farnam Court equipped for gas grill hook-up. Large kitchen with granite island will be the focal point for entertaining. 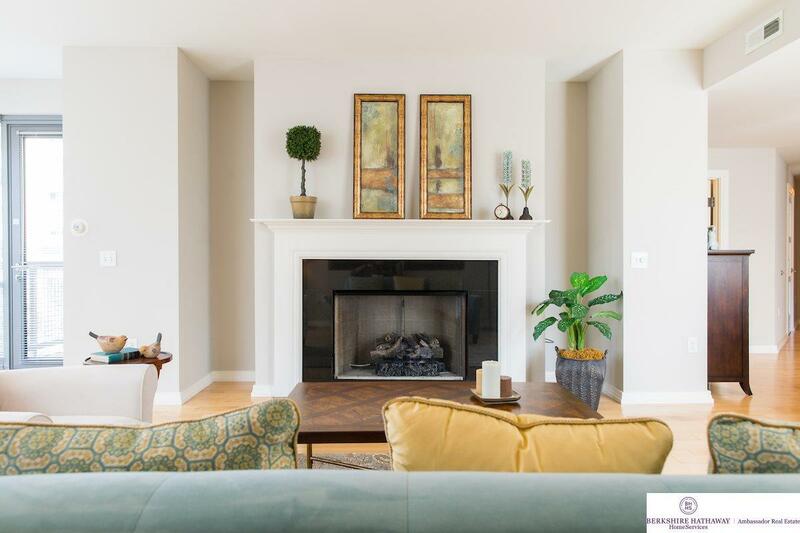 Gas fireplace sets the mood as you enjoy the convenience of no lawn mowing, snow removal, or water in your basement. 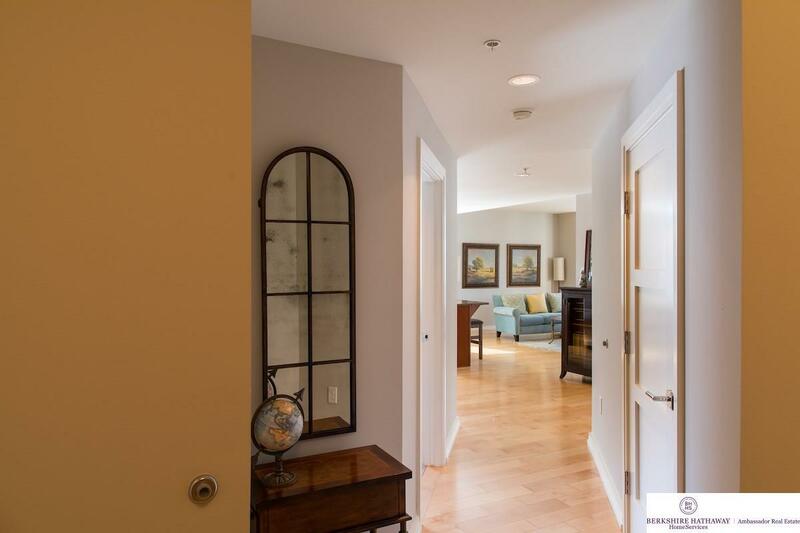 This unit comes with a secure entrance, heated underground parking space, and optional storage cage. Concierge Service and 24 hour security are included in the monthly HOA which also covers-water, sewer, trash, gas, recycling, common area maintenance, & insurance. Rooftop Clubroom is your to enjoy daily or reserve for a small fee for a private event complete with kitchen, fireplace, pool tables, projection/big screens, and audio equipment for all your event needs. Outdoor seating is always open to residents to take in Omaha's skyline, enjoy summer concerts, or watch Turner park change through the seasons.